This has been a tough week. On the other side of the country loved ones are burying 49 people. People who were out having a fun evening dancing and hanging with friends. Maybe some were on a date. We know one of the victims was a mom out with her son. Two were partners out together. And, oh yea, let’s not forget they were at a gay club. I have two sons that I love fiercely. One of them is gay. And nobody was more surprised than myself at how what happened in Orlando impacted me. It hit me so hard and I’ve shed so many tears over the past few days. Tears for those who were lost, tears for those who lost someone, tears at the love and support I witnessed, tears at the hate and bigotry, tears at the ignorance and last, but not least tears for my own fear. 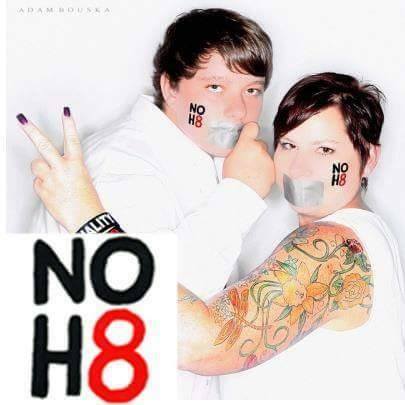 I’ve talked a lot on FB about when my son came out to me. I talked about how he questioned if I would still love him. He questioned me about God and was he going to hell. I haven’t talked a lot about the questions I had. Would my family accept him? WILL SOMEONE TRY TO HURT MY CHILD BECAUSE HE’S GAY? I wish I could say I was one of those parents that didn’t skip a beat when my son came out. But I can’t. It was an adjustment. I had denied the possibility for so long and even though I knew, somewhere in the very back of my mind, it was still a lot to deal with. I didn’t suddenly become the biggest LGBTQ ally. In fact, all I understood was the LG part. I remember thinking, ‘wait, it’s okay to say Queer?’ SMH, I had a lot to learn. So I did. I talked to other parents. Parents who told me horror stories about their children being completely shunned by their family. Parents who also struggled with their own acceptance. Parents who, like me, were just trying to figure things out. Parents, like me, that had been raised in church and raised their children in church and were starting to realize that church, the one place we always went for answers didn’t have any for us. I tried to support my son the best way I could but I still felt like I was coming up short. And then I attended a Pride parade with him. He was very active in our local LGBTQ center for teens and the love that others had for him was evident at the parade. People kept coming up to me and telling me how amazing he was. I already knew that of course, but I began to look at him with different eyes. I began to realize the impact that he could make on the world. And that’s when I really began to understand PRIDE. And I began to understand how the community relates to each other. I stepped out of my comfort zone because it was clear to me that someone had to change and my son wasn’t going to. I don’t expect everyone to change. But I do expect everyone to show compassion, love, and support to each other. You don’t have to agree with someone to still be supportive. And being supportive doesn’t mean you’re totally onboard with who they are and what they do. Being supportive means “I love you and I’m here for you.” Being supportive means speaking up when you hear someone call someone else a fag or when you hear that offensive joke. But most of all being supportive means understanding that members of the LGBTQ community need to know that you’re not okay with what happened. You’re not okay that a man walked into a nightclub and murdered forty nine people. You’re not okay that we live in a world with people celebrate this act. You’re not okay that my child is at times afraid to just walk down a street. Maybe you don’t know what to say. Then say that. But for the love of God, SAY SOMETHING. Show love. Be kinder. Show compassion. And please. Say no to hate.